MicroSD cards have come a long way since we first started using them in 2003. In 2006, SanDisk revealed that they were producing a 4GB microSD card. Since then, the amount of storage on one of these cards has increased dramatically, even though the size of the card itself has not changed. Earlier this year, Integral Memory revealed a 512GB microSD card. As these cards have grown in size, so too have our abilities to use them. They are now compatible with many technology devices we deem standard today and can be transported from one device to the other quickly. But as these cards have increased in storage capacity, so too have the number of options available. 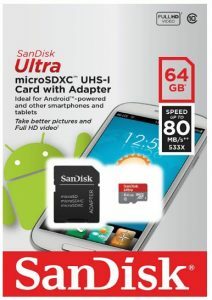 If you’re looking to purchase the best microSD cards, the information below should help. When we sat down to determine our ratings, we realized early on that the information we would provide is crucial to you, the reader. You are a valuable part of our community, and we appreciate the fact that you come to us when looking for a review that you can trust. We kept this in mind when we were compiling our rankings of the best microSD cards. We started by testing numerous different microSD cards for speed, accuracy, and durability. We moved the cards from device to device and completed multiple file transfers. After conducting our tests, we looked at reviews from other websites like Amazon. We understand that our team pales in comparison to the millions of people who use microSD cards, which is why we wanted to consider their opinions too. From here, we accounted for the card’s manufacturer. Manufacturers with a trusted reputation were more likely to score well since we would know what to expect when dealing with these companies. Although we didn’t necessarily discredit those storage cards with less reputable manufacturers, we did conduct more research to ensure we could rely on them. That led us to the ratings you’ll find below. We are confident that if you select one of the cards from the list below, you’ll be satisfied with its performance. Of course, we are always willing to make changes to improve our rankings. If you have a terrible experience with one of the microSD cards we’ve recommended, we encourage you to share. We value our community input, and your opinion is valuable to us. If you have used a microSD card that is not on the list, please share it in the comments section below. 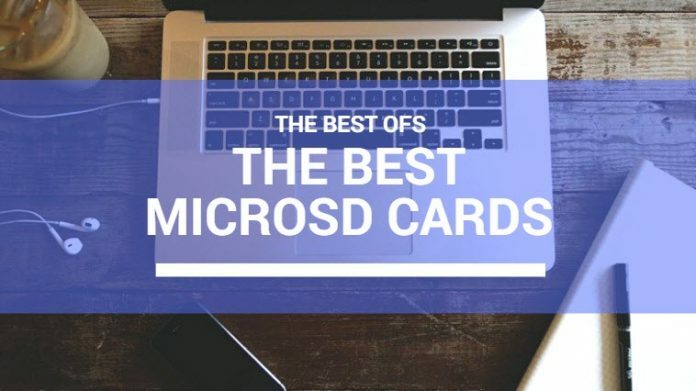 We hope that this article not only helps you choose one of the best microSD cards but also fosters healthy conversation amongst members of our community. When it comes to microSD cards, there are thousands of options available for purchase. After conducting hundreds of hours of research, we believe that the storage devices listed below are the top three best microSD cards on the market today. This Sandisk product was one of the best that we came across when testing, and it seems as though many online tend to agree. The product has a 4.6-star rating on Amazon with nearly 4,400 reviews. 91 percent of those people gave the product either a four or a five-star rating. The product earned an Amazon’s Choice label as the #1 best-seller in the MicroSD Memory Cards category. The card comes with transfer speeds as fast as 100 megabytes per second. The storage unit, which is shockproof, temperature-proof, waterproof and X-ray proof, will work with either SDHC or SDXC devices. The product also comes with an adapter so that you can use it with full-sized SD card slots as well. This storage unit comes with a ten-year warranty. One of the best features about Sandisk cards is that they are compatible with the company’s Memory Zone App, which allows you to manage your files from your phone. This makes the storage process incredibly convenient, is a great bonus for those who may not be as tech-savvy. Those reviewing the memory card loved the app and numerous other features the unit offered. If the Sandisk device was our favorite, then this Samsung memory card was a close second. The card also boasts a 4.6-star rating on Amazon. Nearly 7,800 customers have reviewed the product, 83 percent of which gave the product a five-star review. 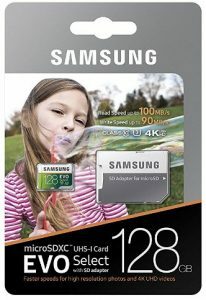 You can purchase a 32GB card for $13, a 64GB card for $20, a 128GB card for $40 and a 256GB card for $120. When testing this product, we found that its file transfer speeds varied between 90 and 100 megabytes per second. Much like the Sandisk model, this memory card came with an adapter that made it easy to use with cameras and computers. Also, just like the Sandisk model, it comes with a ten-year limited warranty. In too can withstand water, extreme temperatures, shock, and X-ray waves. users reported to experience issues in writing new files. The only thing that set the two cards apart was the app that Sandisk users could use to organize their files. Other than that, these cards were very comparable. Users raved about the performance of their Samsung microSD card and were impressed with the amount of storage that they received for the price that they paid. The card rates in the tenth speed class, making it an excellent option for HD recording. It also comes with an SD adapter, increasing the versatility of the card. The company offers a lifetime warranty on the product, even when you purchase the unit through Amazon. All users have to do is register the product. The company claims that the card is waterproof, shockproof, X-ray proof, and temperature proof. users reported to experienced slow writing and reading speed in some android devices. Most reviewers were very satisfied with the product, citing it as one of the best all-around microSD cards they have ever used. They could not believe the speed, class, and storage features included with this card for the price that they paid. Multiple reviewers stated they repurchased the product after having used the first one. It seems that there are microSD cards everywhere you turn. Each one comes with unique specs and features. How could you possibly sort through them all and figure out which one you’d like to buy? Fortunately, this buyer’ guide can help. Below you’ll find the information needed to help you make an informed decision about the best microSD cards. The first thing you should do before you consider any other criteria is to determine why you would like to purchase a microSD card. As you’ll see below, cards can vary in both size and transfer speed. Knowing why you’ll use the microSD card could help limit the scope of your search, allowing you to focus only on the cards you’ll need. If you plan on using the card as an external storage solution and do not plan on taking it in or out of your device frequently, storage capacity will likely be your primary focus. A perfect example of this is those individuals who use a microSD as extra storage on their cell phone. There’s a good chance you won’t be transferring data to or from the card frequently, so you’ll want maximum storage capacity. All three of these cards will fit into a microSD slot, but that does not mean that all three will function adequately. This is because you can’t use newer cards with older devices. However, you can use older with more modern units. For example, you could use an SD model in any microSD slot and expect it to perform to its maximum capacity. However, SDHC cards will not work in devices that only support SD cards. SDHC cards will work in any device that supports SDHC or SDXC formats. Similarly, SDXC models will not work with any other slot. So, before you buy a card, you should check the compatibility of your device. Don’t buy a microSD card that is too powerful for your device. Knowing the compatibility of your device will help make the search process much more manageable. You won’t waste time searching for cards that won’t function. Many retailers organize their microSD cards by size, so it should be easy to narrow down your choices. Additionally, some retailers won’t accept returns for cards that you have used. You should also look into any software restrictions that could interfere with the compatibility of your microSD card. For example, some computers will not support a microSD card’s file format. While PCs are not as troublesome, those with a Mac may have some difficulty getting their hardware to cooperate with their SD card. Once you have figure out your card’s compatibility, you’re going to need to consider the speed of the card. Speed classes indicate how fast your card can transfer files, based on megabytes per second. MicroSD cards come in speed classes of 2, 4, 6, and 10. So, a card in the second speed class can transfer files at a rate of at least 2 MBps per second, while a card in the 10th class transfers at 10 MBps a second. However, there’s a catch to this. These classes represent minimum transfer rates, not maximum transfer rates. A card in the second speed class could write just as fast, if not quicker, than a card in the fourth speed class. Some may find discrepancies between the second, fourth, and sixth levels. However, there’s an understanding that the tenth class will be much faster than the rest. Some manufacturers will list a maximum speed for their cards, which could help clear up any confusion. In our testing, we found that those that recorded their maximum speeds were noticeably faster than others. So, if you plan to perform large file transfers with your microSD card, and speed is one of your primary concerns, you should keep an eye out for manufacturers that list their card’s top rates. When purchasing a microSD card, you don’t want to break the bank and overspend. 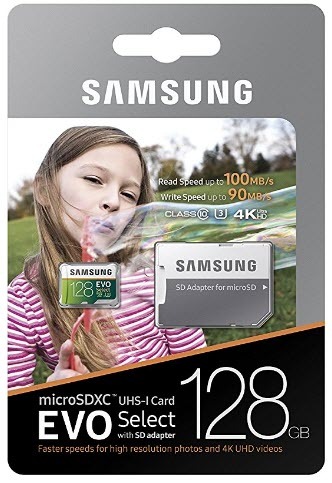 However, you should be willing to invest a bit into a quality microSD card, especially if you are looking for a top-of-the-line card that provides maximum speed, capacity, or both. Similarly, you should be willing to pay more for a brand with who you’re familiar, and you know you can trust. Unfortunately, there are fake memory cards that do not operate as they say they do. Often, consumers don’t realize they purchased a counterfeit device until their card’s storage fills up significantly quicker than they had expected. At this point, they’re stuck with their purchase, and they’ll have to either move files to continue using the fake card or spend even more money to purchase another. Even if a card is not counterfeit, some brands are not as reputable or reliable as others. MicroSD cards can be susceptible to damage. Trusted brands do a much better job producing durable memory cards. Remember that if your card fails, you lose everything. That includes pictures, videos, games, movies, and music. You likely won’t regret paying more for storage you can trust.